A veritable festival of fabulous British actors have signed on to take part Showtime’s upcoming series Penny Dreadful in some capacity or other. The premium cable network is likely hoping that this horror-heavy genre piece will appeal to the same fanbase that flocked to its flagship Dexter series for the past seven years – and given that it’s Showtime, you know the series quality qill be quite high. So, win-win all around, really. Penny Dreadful is being positioned as a frightening psychological thriller that weaves together classic horror stories into a new kind of adult drama. The general premise is that several of literature’s most iconic and frightening figures – including Victor Frankenstein, Dorian Gray, classic figures from the Dracula novel and more – are all grappling with alienation and their own personal demons in Victorian London. Sounds kind of fascinating, huh? Oh and did we mention this show’s going to be packed with British actors? Get details and watch the first teaser trailer below. Showtime aired the first teaser for the upcoming horror series during the Dexter finale and, while it doesn’t reveal much, it certainly is packed with shadowy, gothic imagery (and nods to a few famous monsters). Josh Hartnett stars (it’s okay if you had to IMDb him too; he’s a total American version of “Hey, It’s That Guy!”) alongside Eva Green and approximately a half dozen Awesome British Actors, including Timothy Dalton, Harry Treadaway, Rory Kinnear, former Doctor Who companion Billie Piper, Helen McCroy, Simon Russell Beale and Danny Sapani. It’s not clear who exactly will be playing what roles yet. Hartnett and Green are the ostensible leads and will be playing characters named Ethan Chandler and Vanessa Ives, respectively, neither of which has an immediately apparently literary counterpart. Treadway will be portraying Dr. Frankenstein, while Dalton plays Sir Malcolm, an African explorer on a personal quest, and Piper is set to play Brona Croft an Irish immigrant trying to escape a dark past. (Anybody want to take a guess at what horror stories either of those could characters tie into?). The rest of the cast’s roles are not yet known. 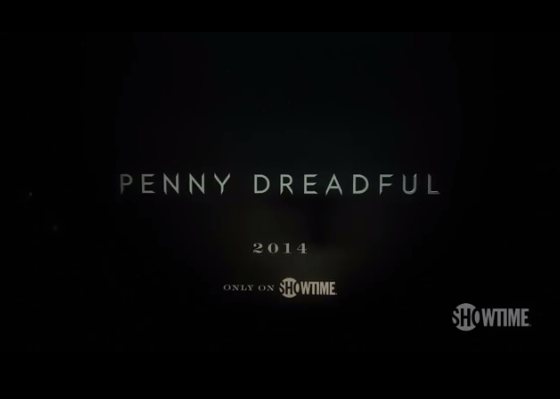 Penny Dreadful is created, written, and executive produced by three-time Oscar nominee John Logan (Hugo, The Aviator, Gladiator) and executive produced by Oscar winner Sam Mendes (American Beauty, Skyfall) and Neal Street's Pippa Harris (Revolutionary Road, Call the Midwife). Filming begins in October, with the series slated to premiere at some point in 2014 on Showtime in the States and Sky Atlantic in the UK. It sounds pretty interesting and, if you can stomach the horror genre at all, worth a look just for the level of talent involved!